The Mexican constitution limits a president to a single six-year term, and López Obrador put in writing that he won't change the law. 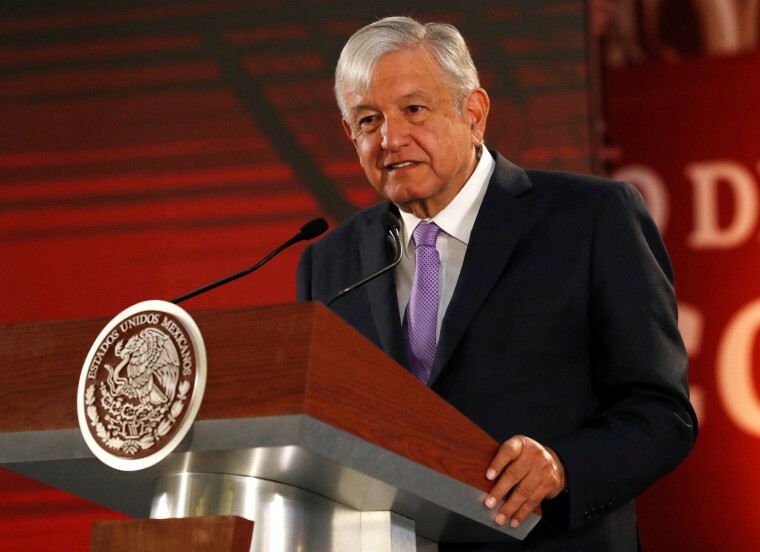 MEXICO CITY — Mexico's President Andrés Manuel López Obrador on Tuesday put in writing a promise to never seek a second term, after critics expressed worry that a new law allowing a mid-term recall referendum could be a step toward a re-election bid. At a morning news conference, Lopez Obrador signed a document in which he vowed to step down as president when his term ends in 2024, and retire to his ranch in southern Mexico. "Never, under any circumstance, will I try to perpetuate myself in the position that I currently have," the document stated. Several Latin American leaders have changed laws to allow them to stand for re-election, including leftists such as Venezuela's late president Hugo Chavez and President Evo Morales in Bolivia. Colombia's conservative former president Alvaro Uribe unsuccessfully tried to change the law and run for a second term. The Mexican constitution limits a president to a single six-year term, and the principle of no re-election has been at the heart of Mexican politics since Francisco Madero campaigned in 1909 against president Porfirio Diaz, who had held on to power for three decades. Late Thursday, Mexico's lower house of Congress approved legislation permitting referendums to cut short the presidential term, in line with Lopez Obrador's plan to have the public vote on his performance half-way through his administration. The constitutional change, which must still be approved by the Senate, will enable Lopez Obrador to honor his pledge to give the electorate a chance to vote him out after three years. Critics say that will also allow the president to put himself at the center of the campaign for mid-term legislative elections in 2021, and could encourage support for permitting re-election.